Fighting harmful gambling through self-expression. 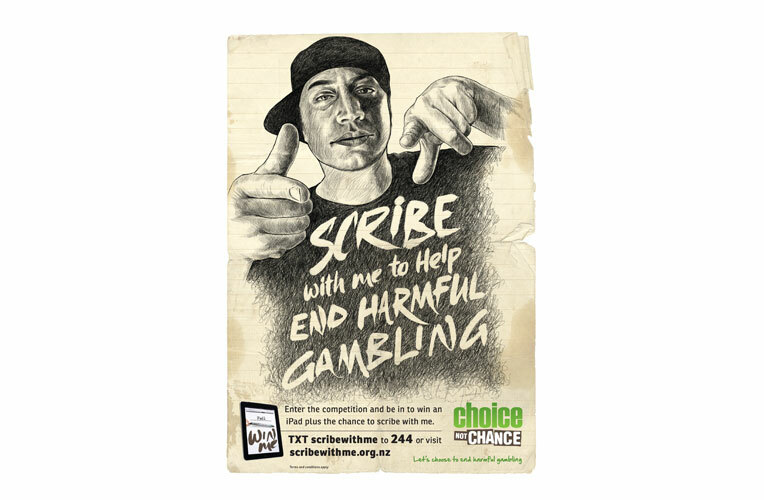 As part of the launch of the Choice not Chance brand we developed with the Health Promotion Agency, we developed a campaign to encourage New Zealanders who have been effected by harmful gambling to share their stories through poetry, story telling or lyrics. 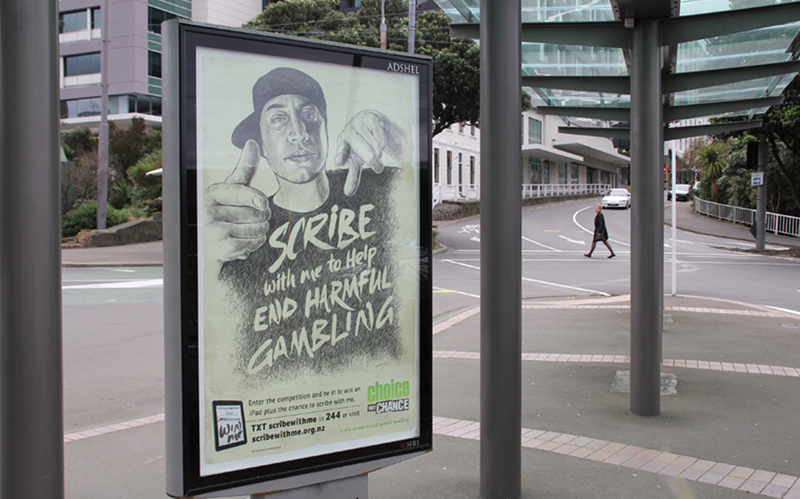 Legendary New Zealand artist Scribe has long been an advocate of speaking out against the dangers of harmful gambling, and became our spokesperson for the campaign. His mana and stories carried a huge amount of resonance with our Maori and Pacific Islander audience, as well as the wider NZ public, creating a campaign that exceeded all levels of expectation in regards to response and engagement. Adshels and street posters encouraged our audience to engage and enter through TXT or via the Choice not Chance web site.